Comma splices are a type of sentence that has a punctuation error. In this type of run-on sentence, a comma is used where a comma is not “strong” enough. 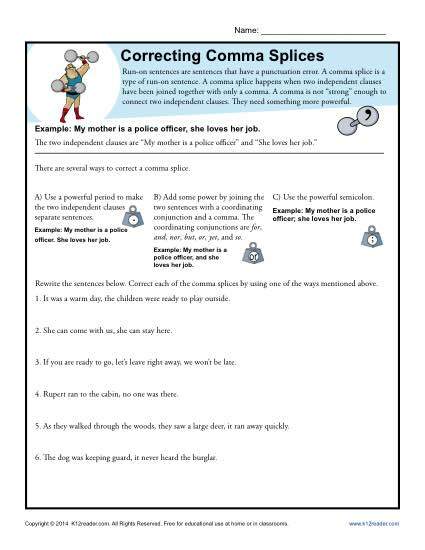 In this worksheet your student will correct the errors in the sentences. While perfect for 4th grade Common Core Standards for Language, it is also useful as a exercise or review for other students.